Are you worried about your ranking in Google? Do you want more traffic on your website? 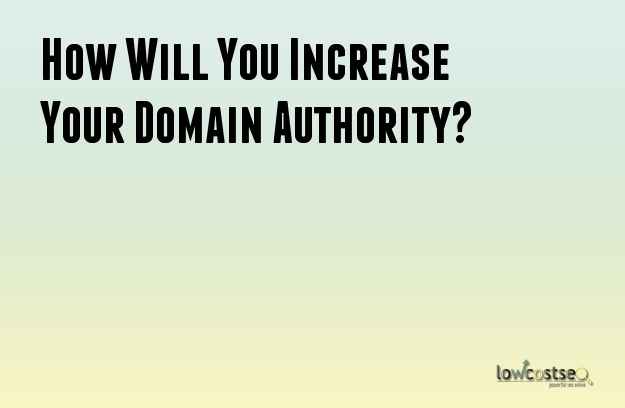 Domain authority decides how high a website will rank in the search engines in comparison to other websites. Thus, increasing Domain Authority of a website means improvingitsstatus on Google. The primary procedure of enhancing your rank in Google is through SEO. Though keywords are important for improving the ranking there are other factors as well. Here are some ways to improve the authority of a website. The basic factors that influence the site ranking are the on-site factors. The structure of a user-friendly site is very essential. Thus, you should concentrate on the on-page SEO and on-page optimization. However, you should also focus on the user experience. The site structure should be such that it looks organized and at the same time is user friendly. There should a substantial use of text links throughout the site. The site map that you provide on your website should be such that it is easily accessed by the user. The average links that are there on the website should be kept within limits. The internal linking strategy should be made efficient. The site should be made fast enough so that the users have a better experience. The keywords that you choose should be the same all the time. Try to use different types of keywords. The permalinks inside the website should be kept short and precise. Keep a section on the side bar which will mention the new posts. High quality content is the factor that acts as the backbone of the website. It is not that long contents get ranked as high quality content. According to Google if the content brings along some new piece of information then the content will be considered as high quality. The content keywords should be thoroughly researched on. The keywords should be relevant to the field of your business. The content has to be unique and informative. Provide as much details as possible. Keep contents that will not lose its importance overtime. You will be able to reach out to more number of audiences if you share your content on social networking sites like facebook, Twitter, etc. You should increase the email subscribers list. Promote your content also through paid social media. The promotion of your content should be frequent. Email the contents to the known links, blogs and the popular blogs. Analyze the contents of your rivals and target their audience and linkers. Keep a check on the resource pages and ask for links from them when necessary. Social media will prove of great help for improving the exposure of the website and its content. In order to enhance the domain authority you have to focus on the aspect of social media. Set up a profile of your website in different social networking sites. Brand name is the something through which the customers relate to your brand. If brand strategy of your website is formulated properly it will help you get recognized by a wider range of audience. Also make it a point to advertise it through the popular social networking sites.